Vodafone Online Recharge Offers Bonus Cards. Choose the Bonus Cards that Best Suits the Needs that Gives you more Benefits. Cards start from Rs 19 valid for all users. Get more voice, SMS, and internet with Vodafone Bonus cards. 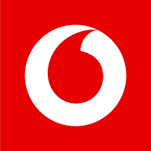 Vodafone India provides its Users with a variety of services and packs for mobile recharges. Offer is expiring soon. You will be redirected to offer landing page to avail the offer. You don’t need any coupon code in order to avail the offer.